Pustak Ka Vivaran : Sansar mein kitne hi sadagranth hai vaidik aur laukik bhi, kitne hi aagam-nigam aur smrti-puran hai, kitne hi dharm aur darshan-shastr hai, kitne hi path aur sampraday hai. In sab mein adhakachare gyani athava sarvatha agyani manushyon ke vividh man aisi anany-buddhi aavesh se apne-aap aabadd kiye hue hai………………………………. 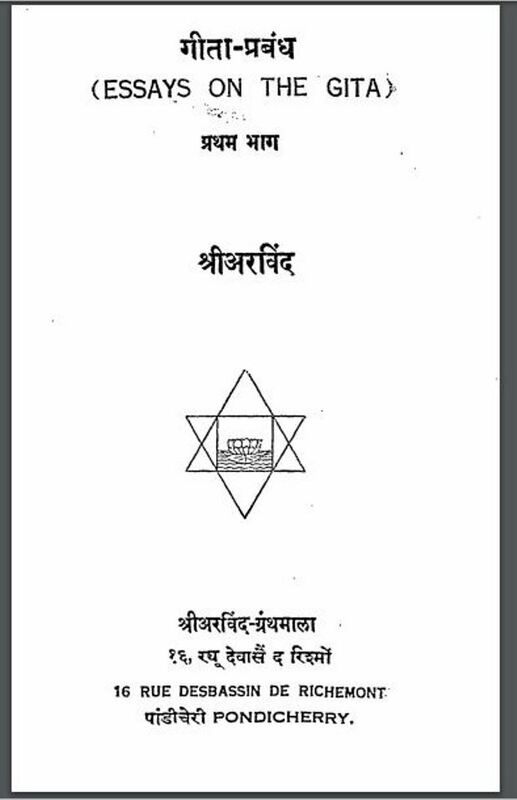 Description about eBook : There are so many members in Vedic and temporal world, how many are the Agum-corporations and memory-puranas, how many religions and philosophy, there are many paths and sects. In all of these, the various minds of the most ignorant or ignorant people are automatically encroached by such an intelligent-intellect………………………………….